According to a recent article published in Singaporean newspaper The Straits Times the future of Singapore’s national football league, the S.League, is in jeopardy following a meeting between the league’s club chairman and FAS officials. 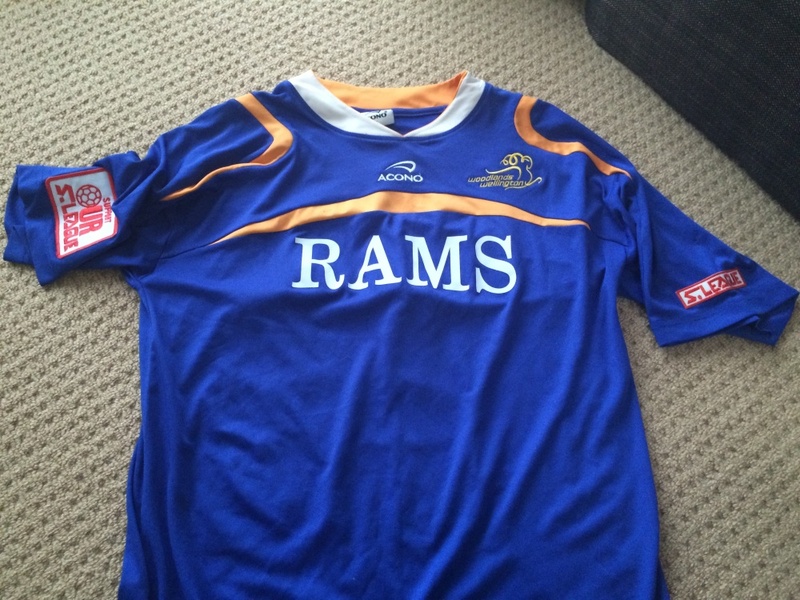 The S.League was established in 1995 and modeled off Japan’s J.League. The past year has been tough on the S.League and tougher on those who devote their time and passion to football on the island nation. Tanjong Pagar FC left the S.League and sparked controversy over whether or not the league should establish a players union, Woodlands Wellington and Hougang United formed a merger club (which caused Woodlands fans to eventually file a police report questioning the ethics of the move) and Singapore’s national football team failed to defend their AFF Suzuki Cup title when they came up against rivals Malaysia. There is also a constant concern of poor attendances for S.League fixtures (which the league’s CEO Lim Chin decided to stop monitoring, but came under heavy criticism for claiming the crowds increased by 40% in 2014). Although there have, of course, been many positives experienced by fans of the S.League over the last 19 seasons. The most obvious is the success brought to Singapore’s national team by S.League players over the years. During the years of 2004 and 2007 where Singapore won consecutive AFF Championships, the majority of both squads were Singaporeans playing in the S.League. The 2004 Singapore squad that defeated Indonesia 5-2 on aggregate possessed an entire squad made up of S.League and Prime League (S.League feeder league) players. Despite all the issues listed above, which many fans believe are tied to the governance of the league, there is still a key contingent of supporting devoting their emotions to the S.League. This was most evident during last year’s AFF Suzuki Cup, where a group of supporters occupied a bay at the new Singapore National Stadium under the name of the ‘S.League Fan Group”. Made up of fans devoted to multiple local Singaporean sides, the group has been vocal on social media regarding the poor governance of Singaporean football. But most importantly, they advocate for change as they have a right to do so after years of support. Now change could be coming their way. According to The Straits Times in their article posted last Wednesday morning, three “options” to improve Singapore football were discussed at a meeting between S.League club chairmen and FAS officials. Two of these options included more access to promising youngsters for the remaining Singaporean S.League sides (Courts Young Lions an exception). The first option was to scrap the LionsXII and Courts Young Lions, thus providing Singapore’s six S.League clubs with a larger talent pool of local youth. The latter option was to provide Singapore’s S.League clubs with more access to local youth, however the guidelines of this specific option were unknown to the media. The Courts Young Lions are a Singaporean under-23 side based at Jalan Besar Stadium, founded in 2002, the side usually struggles in the S.League and have only won a single fixture this year. Whereas the LionsXII compete in the MSL (Malaysian Super League) and are the only Singapore-based team competing in Malaysia’s top tier of football. Since 2011, the LionsXII have annually taken place in the Malaysia Cup, a historical footballing tournament in South East Asia that traditionally had one Singapore-based side. Singapore (with the inclusion of foreigners, like the LionsXII today) competed in the Malaysia Cup for 74 years, leaving the tournament in 1995, after financial factors and the creation of the S.League barred the reigning Cup-champions from renewing their license for the tournament. Any mention of the Malaysia Cup and it’s likely you’ll bring out the best in an avid supporter of Singapore football. 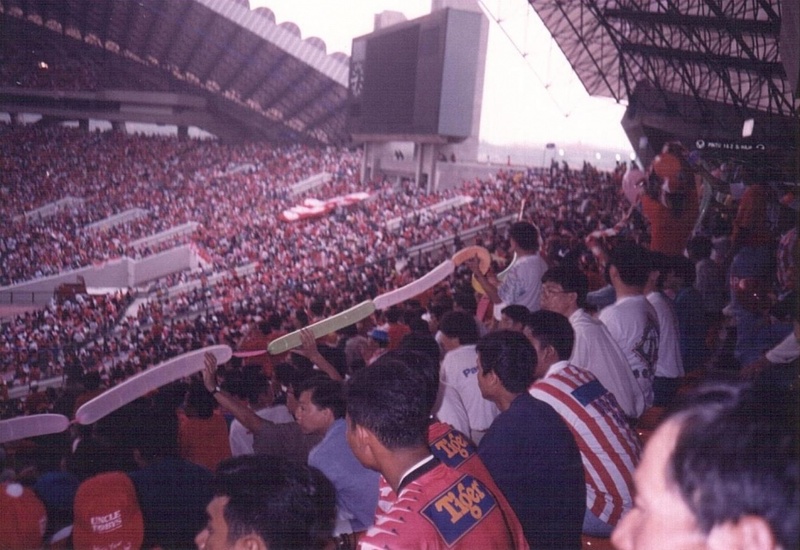 Prior to Singapore’s departure from the Cup in 1995, an estimated 50,000 Singaporeans travelled north to Shah Alam Stadium to watch their side defeat the Pahang state of Malaysia 4-0. The match was the final of the 1994 Malaysia Cup and Singaporean football legend Fandi Ahmad captained the team to victory. With Fandi Ahmad now the head coach of the LionsXII and the name itself ‘LionsXII’ presented as a “tribute to the 12th man”, is it possible the LionsXII were kick-started by the FAS to achieve a more marketable and mainstream team to the Singaporean public? At the expense of Singapore’s nurturing of talented footballers? The third and final option in regards to the S.League’s future is clearly the most controversial of the trio reportedly discussed at the meeting. The idea brought forward was to scrap the S.League so the governing body could devote more time and effort into Singapore’s MSL campaign and the upcoming ASEAN Super League. The ASEAN Super League is an upcoming South East Asian football league set to kick off in 2016 with the project being led by FAS President Zainudin Nordin. As the project awaits FIFA approval, a blueprint for the league’s format is still in the works. The proposed format is two teams from each major nation in the AFF (ASEAN Football Federation) and one team from the smaller and less competitive nations. However, Asian Cup champions Australia look unlikely to field any sides in the annual league. Following last Monday’s meeting, an unnamed club chairman told The Straits Times “Even our national coach [Bernd Stange] was quoted as saying he does not go to S.League games, so we told the FAS that things need to change.” This point can be used by someone in favour of the the third option where the S.League is scrapped, however, it provides evidence for a larger point to be made that the S.League is currently failing to reach a mainstream audience in Singapore. And again, this is an issue easily directed towards the governance of Singaporean football, not at all the fault of the Singapore’s only Top Tier football league. The S.League is a privately owned league and as certain club chairman are becoming more upset with the governance of the league, the possibility of a breakaway league now lingers more than ever. However, for this to work out there are many factors to be carefully considered such as money, venues and TV rights for the breakaway league. But the vital point still remains. Singapore, with almost half a century of independence from Malaysia and four AFF Championships under the belt, needs to solve the issues regarding the S.League. A Top Tier football league in Singapore is crucial and not only assists the national team’s on-field success, but satisfies the immense public interest in Football. There’s people out there determined to make it work. One way or another. Or another.